Alchemy can loosely be described as old-fashioned chemistry; more tightly, the pursuit of turning base metals into luvverly gold. So the obvious question is, does Camel Audio’s soft synth sound old hat, or can it make audio gold from base elements? In a sense, the latter is exactly what it’s all about. Alchemy is now native 64-bit, so no more grinding of teeth as you watch a wobbly 32-bit bridge (Apple!) collapse into the gushing torrent of your creative flow. 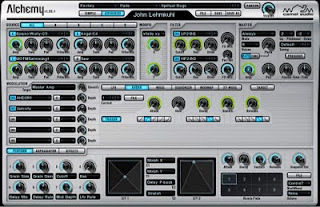 The plugin, as both VST and AU, and now as RTAS for Avid Pro Tools users, arrives with multi-gigs of samples (more than 5.5GB, fact fans) and a library of 675 presets devised by the in-house team, along with such luminaries as Ian Boddy, Junkie XL, John 'Skippy' Lehmkuhl and Dangerous Bear. The presets cover a bewildering variety of sounds ready for manipulation in weird and wonderful ways, more on which later. And yes, there's a slot for your own devisalments, much aided by a MuzoBlog favourite feature, a Random-ize button. A huge plus is that you can also import your own samples in a variety of formats (WAV, AIFF and SFZ) to further titillate creative nodes. Then we get to the synth itself, scratch our heads and head back to Camel’s website for a look at the well-produced instructional videos. What we have are four oscillators to mix together. And the previous sentence gets MuzoBlog’s award for the most insultingly understated sentence since someone said News of the World reporters might have been a bit cheeky. Each oscillator can serve as a basic waveform - square, vintage sine and so on - and you could use Alchemy as a basic subtractive synth; it has that functionality. But you can also use samples, additive synthesis, ramp up the unison mode and so forth. Once you have a sound, you'll probably want to animate it. Certainly no problem there. Alchemy has all the envelopes, LFOs, MSEGs, gates, front doors, bells and bidets you'll need and, as you'd expect, you can apply them to almost any parameter available. 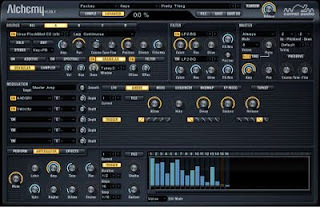 Of course, there are effects to add - they from the same team that brought us CamelPhat and CamelSpace (new versions gagging in beta - won't be long now), so a good pedigree there. But Alchemy also has an ace up its sleeve with snapshots. Make your sound and store it in one of eight slots. Make a variation and stick that in another slot. Repeat up to eight times and then morph between them in real time. 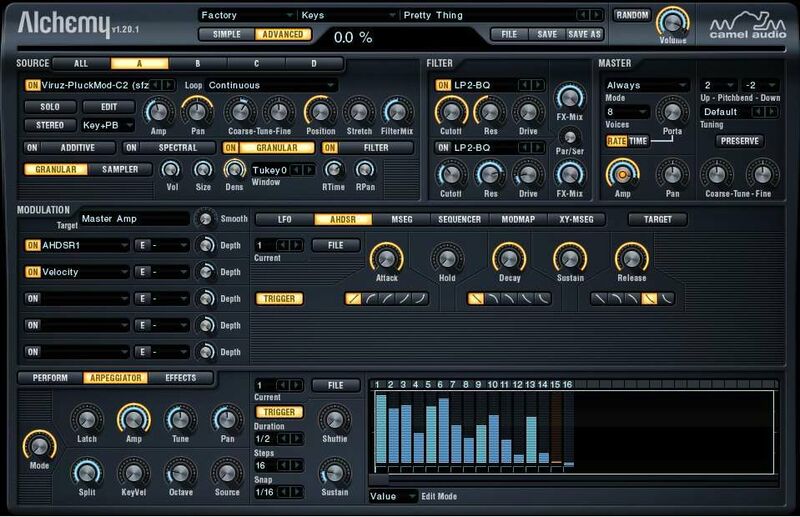 Or, if you’re feeling lazy, get this hard-working little beastie to automatically come up with seven variations of a sound for further tweaking afterwards. Of course, we don't always want the full functionality of a synth's sound-warping capability in our faces all the time - there's an issue of screen real-estate to consider. Usefully, as with previous versions of Alchemy, you can switch to a Simple view (above left) which offers the most important performance controls, including those eight variation slots, and hides the power tools until they're needed. And when you do dip in to the toolbox, sound has never been so plastic. It's almost a shame that Alchemy is around now in these days when the mainstream clamours for Virus-type timbres. Lob this synth at psychedelic or prog-rock muzos and they would spontaneously combust in a fit of glee. But hey, their loss and definitely our gain. I found tweaking any knob at random without knowing what it does to be a hit-and-miss affair, but several respected sound designers have made the effort because there are numerous sound banks available on the Camel Audio website, one of the more recent being Ian Boddy’s Analogica, which shall doubtless get the MuzoBlog treatment fair soon. 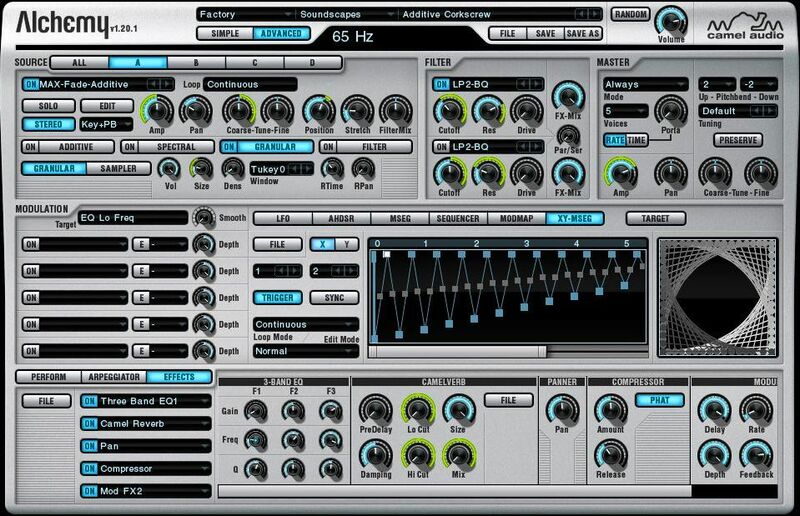 Not only have sound designers been busy, the interface design crew has dreamt up another front end for v 1.20 of this skinnable synth. BitPlant's Nightshade skin, shown left, brings a darker face to Alchemy and can be switched to via the File menu. This is a product that has been created by some very smart people who know their business and they support their offspring most righteous. What do I use Alchemy for? 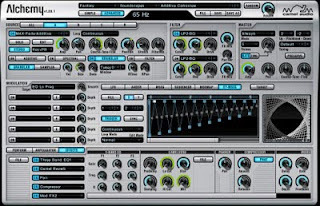 If I'm looking for analogue type leads and basses, I'll opt for a simpler synth, even though I could get that here. 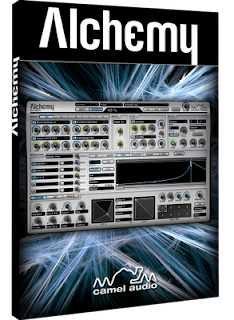 But if I'm looking for pads, soundscapes, something different or even just plain inspiration, then Alchemy has become my go-to plugin. Isaac Newton turn in your grave. Camel’s made gold.